Tag Archive | "Leslie Anne Wood"
Leslie Anne Wood, of Oakfield Township, took the Post along with her on a summer trip to Iceland, Denmark, and Norway. 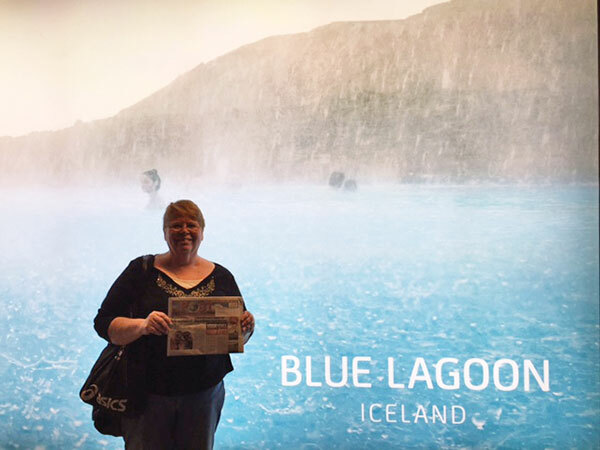 This picture was taken August 14 at Iceland’s natural hot springs, affectionately known as the Blue Lagoon. It was a nine-day adventure offered by a local Michigan-based travel company. Thanks, Leslie, for taking us with you!